Willy was a senior police inspector of the Royal Hong Kong Police Force before obtaining his Bachelor of Laws degree and Master of Laws degree at the University of Wolverhampton and his Doctor of Laws degree at the Renmin University of China. He qualifies as a Chartered Legal Executive in England and practiced as such in Hong Kong. He has extensive experience in criminal litigation, intellectual property litigation, injunction applications as well as cases ranging from police investigation to ICAC and Immigration Department’s investigation. Willy is a member of the China Institute of Legal History, the Society of Hong Kong Scholars, the Commonwealth Lawyers Association, the Hong Kong Legal Community who is concerned about the Co-location Arrangement of the Hong Kong Section of the Guangzhou-Shenzhen-Hong Kong Express Rail Link (the spokesman at the hearing of Hong Kong Legislative Council), the Hong Kong Basic Law Education Association and the Association of Hong Kong Professionals. Willy has interest in academia and he lectures at various universities, including the HKUSPACE programme of the University of Hong Kong, the SCS of the Chinese University of Hong Kong, the SWP of the Hong Kong Polytechnic University and the Hong Kong Shue Yan University as well as the Visiting Researcher of Center of Taiwan, Hong Kong and Macau Law of Law School of Nankai University and the Visiting Researcher of Internet Traffic Law Research Center of Beijing Jiaotong University. His research interest covers various legal field: criminal law, Basic Law, One Country Two Systems, intellectual property law, human rights law, cybercrime, comparative legal studies and legal philosophy. His career in academia led to the publication of several major articles in learned legal journals and of important dissertations at the Dissertation Zone of Beijing Hong Kong Academic Exchange Centre, the “Research Journal” of Hong Kong Association for China Graduates and the “Studies on Legal Culture” (3rd Edition)(2007) published by the Renmin University of China Press, the seminar of “Associação de Estudos de Direito, Administração Pública e Tradução de Macau” as well as the newspaper “Wen Wei Po”. Besides academia, Willy has immense interest and significant achievement in martial art. He is a member of the American Society of Industrial Safety, a Chief Instructor of Bodyguard Association of Hong Kong and a holder of the Taekwondo black belt 5th Dan registered in the Kukkiwon, World Taekwondo Headquarters. Coupled with his former police officer’s experience, he provides advice on risk management and acts as a security consultant for several celebrities and dignitaries in China (including Hong Kong), the UK and the USA. Willy held various posts by public appointment: he was a member of the HKSAR Public Affairs Forum, an Adjudicator of HKSAR Obscene Articles Tribunal (2003-2013), a member of the Private Premises Working Committee of the Sham Shui Po District Board (2011-2012). Willy is active in serving the community in his capacity as a consultant of Association of Retired Elderly (the 1st Project Director), the Parent Manager of Good Counsel Catholic Primary School (2014-2017), the President of Hong Kong Greatview Taekwondo Association, the Honourary Legal Advisor of Hong Kong Taekwondo Association, the Deputy Director of the Referee Unit, the Poomsae Judge Unit and the Discipline Unit of Hong Kong Taekwondo Association (2017-2020) and the Advisor of Asian Pacific Alliance Chambers of Commerce. In January 2019, Willy is appointed member of the Chinese Association of Hong Kong and Macau Studies; and also as an executive director of the Chinese Legal Culture Studies Association under the Beijing Law Society. At the same time, he accepted appointment as a council member of the ‘Professor Zeng Xianyi’ Legal History Scholarship Council. 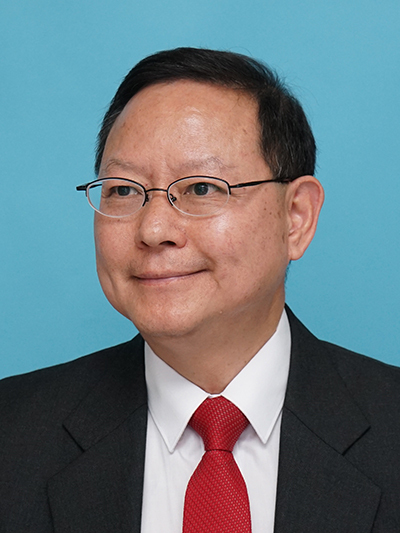 In March 2019, the Federation of Hong Kong, Shanghai Yangpu and Macau appointed Dr Fu as its Secretary General. Dr Fu has actively participated in the Foundation’s activities and has represented the Foundation in many external forum and conferences in his capacity as the Deputy Secretary General, before being promoted to as the Secretary General in February 2019.